Somaliland has the experience, the venue, the security and it can commit itself to finding a lasting solution to Somali problems. However, it needs the international community’s empowerment. On the onset of the article, I would like to highlight briefly, to my best recall, the melt down of the Somalia dignity and an unprecedented events that unfolded after the late Siyaad Barre’s regime has got ousted by the rebel forces in 27 January 1991. The collapse of the Somali Government in 1991, regardless of the past, was the eventual upshot of the country’s disintegration into several, mostly clan based, administrations with conflicting political aspiration – the footprint of a failed state: first Somaliland (former British Protectorate) broke away from the rest of Somalia (former Italian colony) – not without a reason. Just after the late president, Mohamed. S. Barre, was thrown out of Mogadishu, Mr Ali Mahdi took the opportunity to grab the vacant presidential seat – a preset operation – without being elected by the general public or the leaders of armed rebel forces of SNM (April 1981), USC (1989) and SPM (March 1989) who literally forced Siyaad Barre to flee and toppled his regime after their meeting at Balliguble, the SNM base, on Aug 7, 1990. Mr. Ali Mahdi’s inapt and hustled action has enraged the people in the North (Somaliland) and the leaders of the rebel forces, notably General Aideed, and thus further contributed to the escalation of the war in Mogadishu, after said Barre’s flee. It has also prompted Somaliland to disaffiliate from the South without waiting further development of the situation in Moqadishu. At this point the country took two different and opposite directions. On November 17, 1991, The south which was relatively stable prior to 1991, (Somalia – as it was called before 1960) begun to follow to a turbulence path which displaced millions and claimed the lives of thousands of people as well material damages and resulted in famines and diseases that could be blamed to all actors that involved in the confrontations in Somalia, whether their intentions were sinister or sound act. The military operations by the UN, the AU and neighbouring countries until present and the numerous reconciliations held for Somalia as well as the lavish financial aid by the west and the other international community including the Arab countries to Somalia (the South) proved ineffectual and have achieved little to change the course of Somalia. Those efforts, despite proven ineffective, still are being continued in Somalia with the same strategy that based with external influence to nurture the same mayhem that always takes a different shape and breeds a different and new adversary to fight with. – A rolling program of the initial problem. In fact, the direct involvement of the Somalia’s affairs by the International Community or by any stakeholder only extends the problem within the Somali Society. If the problem in Somalia is left to the Somali people without interference, they could decide their way out in a reasonable time may be with less human cost than we experienced now. The UN and the African countries intervention to Somalia is a project with many beneficiaries which has no specific completion date, because of the financial gains for those involved outweighs the real solution. The people in the North (Somaliland) took different approach than the Southern Somalia by a) reconciling the clans in the North-west of Somalia, after years of civil war prior to 1991, and b) declaring on 18 May 1991 their withdrawal from the Union of Somalia that had unconditionally happen in 1 July 1960, after Ali Mahdi has announced his government in Mogadishu. The people of Somaliland, now around 3 million, formed a government with a constitution, parliament, house of elders, new currency (Somaliland Shilling) and flew its own flag – satisfies all the requirements of a sovereign country. 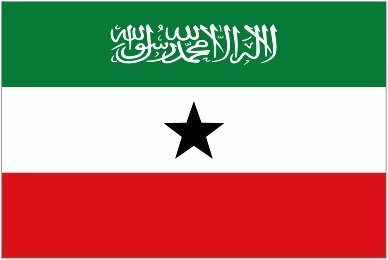 The successive Somaliland administrations systematically started, despite some hindrance, the process of stabilizing the country by demobilizing all armed militias and forming a national army and a police force as well as fostering the democratization process that the country is going through now. Since then four presidents were replaced of which the last two were democratically elected by the people and the power was transferred smoothly by the incumbent presidents to their successors. As Somaliland is not yet recognised by the international community and it cannot secure proper economical and political relation with the other nations, It has been reliant on its limited resource with the minimal external assistance for the past two decades of its being, unlike Somalia, by achieving its physical development that has fascinated the international media and given the commendation of being a model of hope in Africa. In contrast to that positive image of Somaliland, the Southern Somalia has plunged into troubled water as further divisions of the country surfaced in the form of fiefdoms based on tribal influence or warlords. One of the first tribal based administrations that split from the south in 1998 is the semi-autonomous administration of Puntland (Majeerteenia in territory wise). Puntland is a stable area, to a certain extent, although it has infested by pirate operations, a major financial source to that area in terms of the scale of ransom received by the pirates for their catches, or the financial aid to the authority in Puntland by the donor community for fighting the piracy in their coasts. Besides that, Puntland is far better than the rest of southern regions in the development aspect. The maritime piracy hosted by this enclave costs nearly 7 billion dollars to the international trade according to a report by One Earth Future in 2011. This cost is footed by consumers of the commodities (including the Somali people) that transported via on this risky route as the price of commodities, transport charges and insurance of sea transport on the high risk waters went sky-high not because of the current financial crisis in the world market but mainly of the piracy in the Horn of Africa. As reports cited, the Somali pirates operate in the Gulf of Aden, the Red Sea, the Arabian Sea, the Indian Ocean, and off the coast of Oman. Puntland suffers the consequence of the pirate presence in their areas as calculated assassinations to government officials and to prominent community elders and spiritual leaders and foreigners by armed gang oven took place for reasons connected to piracy associated with some political and tribal retaliation in Puntland towns. However, if this practice continues it will invalidate the fair stability that exists in Puntland. As a rival economical and political region to Somaliland, the Puntland administration devised a destabilising strategy for Somaliland by claiming Sool and some parts of Sanaag regions, an area that Puntland is much interested in to get hold of it simply because of an ancestral link rather border connection as of colonial borders in Africa. In addition, Puntland has a potential interest in drilling Nugaal valley well located inside the border of Somaliland which first drilled by ConocoPhillips in 1989 by giving a concession to Red Emperor Resources along with Dharoor well in Puntland.This is the root cause of the dispute between Somaliland and Puntland. The Abdullahi’s federal governments of Somalia (October 10, 2004 – December 29, 2008) put into effect that strategy of detaching Sool and Sanaag districts from Somaliland for reasons that can be associated with mineral and petroleum interest for Puntland benefit as Abdullahi him-self was the founder of Puntland administration in 1998. However, this border dispute tact was a tool for Puntland and Somalia TFG, though with different aims but analogous to have a case in suspension for a possible recognition of Somaliland or by creating insecure environment within Somaliland for political reasons. A similar tactic was adopted by some close regional governments, as in the case of Ethiopia, to disturb the new government of Somaliland lead by Mr M A Mohamoud Silaanyo for a minor rift or temporary misunderstanding between the two the administrations In Hargeisa and Addis Ababa which is now restored. The Ethiopian government through the Somali Self Governing administration in Jigjiga supported and offered a facilitation and security arrangements to some high profile Diasporas members who hailed from Sool region and Buhoodle district of Togdheer region to convene at Taleh village of Somaliland in January 2012 and announced an administration named Khaatumo state of Somalia which the Somalia’s TFG also had a hand on the establishment of this group as this group opposes both Puntland and Somaliland claims of Sool and Buhoodle. At the time the TFG and had some issue with Puntland regarding with Somalia’s political Roadmap. However, this group who mainly consists of diasporas individuals is now seems withered by the Somalia-Somaliland dialogue as Somaliland government has now changed its previous strategy of segregating itself from interacting with Somalia’s political discourse. Nevertheless, the international community was also less generous to the case of Somaliland, they have only offered a cold shoulder and left the Somaliland’s bid for recognition to decide by the African Union who have their own internal problems and some of them even have an interest on Somali people’s untidy political affair or may not even like seeing an internationally recognised Somaliland next door as it might be a threat to their economical position in the Horn as in the case of Djibouti, though it has shown now some leniency to Somaliland case and some co-operation begun between the two governments. On the other hand, the world has kept Somaliland in a corner until recently in terms of the magnitude of financial assistance that the donor countries and the UN organisations spent to Somalia for the past twenty years with little improvement on ground. Somehow, Somaliland has strived with this financial negligence by the international community and, with little in the budget; the people of Somaliland did mind their business and built their own country both in the public and the private sector inferstructures. The people of Somaliland not only helped their country but participated in the assistance and the reconciliation of the conflicts in Somalia. It is worth to mention the efforts that Somaliland made when the power clash erupted in Puntland between Jama Ali Jama the late President Abdullahi Yusuf of Somalia TFG – then the president of Puntland who completed his term in November 2001 and recaptured the power from Jama Ali Jama in May 2002. The forces of Jama Ali Jama and Gen. Ade Muse Boqor who came from Canada to support Jama were defeated and Gen, Ade and his men fled to Somaliland. With hospitable treatment, the then president of Somaliland, Mr Daahir Riyaale gave the Gen Ade and his men a refuge before they returned to Puntland with the help of Somaliland arbitration by sorting out the difference between the general and Abdullahi Yusuf who finally agreed to form a power sharing government in Puntland in May 2003. Somaliland only did this charitable decision Just to uphold the stability in the Horn. Mr Ade later became the President of Puntland after Abdullahi won the presidency seat in the transitional government of Somalia in Nairobi in October 1984. However, neither Gen. Ade nor Col. Abdullahi returned the due favour to Somaliland people; instead they did the opposite to Somaliland: Armed the Sool and Buhoodle community against Somaliland. Similarly, Somaliland gave a home to a large internally displaced people from the South of Somalia who fled from the surging wars in their regions. Moreover, it donated nearly one million dollar to the drought and famine stricken people in Mogadishu and Dhadhaab (Kenya) refugee camp in September 2011. A Somaliland delegation consisting of government ministers and civilians has taken that assistance to Mogadishu and Dhadhaab for distribution. In fact, many Somaliland poor families were in need of that assistance but justly those in Mogadishu were lacking of security and shelter more than those in Somaliland and that is why the people of Somaliland and their government took that timely decision. It was a wise decision which has captured the attention of the world which usually reports a help from external donor to Somalia but not ever reported a help from Somali people to Somali people of that magnitude as in this case. After 21 years, Somalia and Somaliland sit together, face to face, at a technical level and discussed to clarity their future relations without the presence of a third party during the course of the discussion in Chevening House, UK, on 21 June 2012. Within two hours of the meeting the two sides reached an agreement that the facilitating committee were not expecting, in fact the notion that was in place was an expectation of confrontation by the two sides and that was proven wrong. The outcome of that meeting was again ratified by the two presidents of Somalia and Somaliland in a similar setting in Dubai on 28 June 2012. A new lesson that the international community learned from the Somali people: With their own affairs they can agree if the platform and the opportunity are given to them. However, everything has a secret ingredient that makes the taste and the texture of the matter in question; the secret ingredient that restores Somalia’s existence is with Somaliland. Now, it seems that Somaliland is ready to participate in all the political discussions that could rightly shape the future of the Horn of Africa. Therefore, can the international community empower Somaliland to help Somalia? Somaliland has the experience, the venue, the security and it can commit itself to find out a lasting solution to Somali problems.